Earlier this month, life insurance company Beagle Street polled 1,000 adults to uncover the best love letters ever written. The majority of participants voted in favor of a 1994 love letter, penned by none other than Johnny Cash. The famed musician wrote the message for June Carter, his wife, on her 65th birthday. 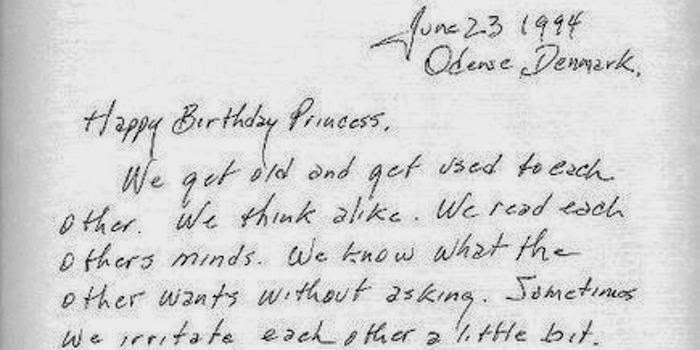 In the incredibly sweet note, Cash refers to his wife as “Princess,” and insists that she is the greatest woman he’d ever met. The spirit of June Carter overshadows me tonight with the love she had for me and the love I have for her. We connect somewhere between here and Heaven. She came down for a short visit, I guess, from heaven to visit with me tonight to give me inspiration and courage like she always has. Cash passed away just four months after his late wife; his grief was likely too much to bear. It’s clear from his letters (which you can see below) that the pair were very much in love — perhaps, even, that they were soulmates. With Valentine’s Day just around the corner, we thought it perfectly fitting to share what may just be the greatest love letter of all time. The “best love letter of all time,” according to voters.